There were plenty of upsets in the Last 16 of the TKO. Let's find out what's in store for this week. Platinum Stars are battling in the league this season and they remain rooted to the foot of the PSL table without a single victory in the current campaign. Last week, though, they managed to progress to this stage of the tournament by holding Maritzburg United to a goalless draw and beating them on penalties. Bloemfontein Celtic come flying into this one after overturning a 2-0 deficit and triumphing on penalties against SuperSport United who are the South African cup kings. They lie sixth on the log with three wins and three draws after eight matches. Get on the away side to outdo Dikwena. Orlando Pirates seem to have gotten over their last season’s woes with some solid displays in the current campaign, but their atrocious showing in front of goal has let them down. The Buccaneers have drawn three consecutive matches in the league and they’ve scored more than once in only one game. 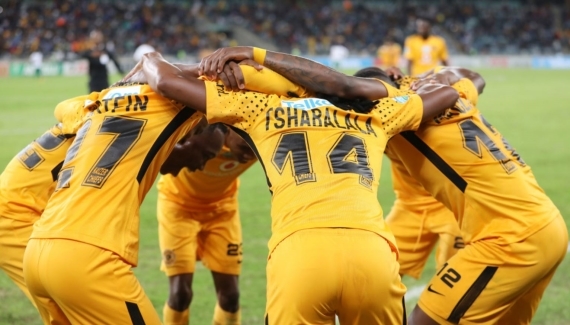 They can count on Thabo Qalinge’s form which troubled Kaizer Chiefs n the Soweto Derby and inspired them to this cup’s 1-0 victory over Golden Arrows in the previous round. Polokwane City have won only three of their 11 games in all competitions this season but they remain unbeaten in the last four matches, at the time of writing. Rise and Shine beat Ajax Cape Town 1-0 in the last 16 to reach this stage of the competition. I foresee a low-scoring game with Orlando Pirates coming out tops. You don’t know which Bidvest Wits side will show up on the day. Their season has started very slowly, losing to lesser opponents but winning when everyone expects them to get thrashed. The league champions lie 14th on the standings, but last week, they manged to knock Free State Stars out of this cup, scoring twice in extra time to record a 4-2 victory. Baroka top the PSL standings with 16 points after nine games. To reach the quarterfinals they had to dig deep to earn a hard-fought 1-0 victory against Benni McCarthy’s Cape Town City. It’s also very interesting to note that they were handed their only defeat of the season so far by the Clever Boys, whom they are now facing in this cup. Get on the Clever Boys to progress to the semi-finals. Chippa United are loving life under newly-appointed coach Teboho Moloi, who has turned their fortunes around. They’ve followed five consecutive draws up with two credible victories against Cape Town City and Mamelodi Sundowns on the spin, increasing their unbeaten run to seven games. Kaizer Chiefs are unbeaten in the last three games with two victories and one draw, at the time of writing. They lie fourth on the PSL standings and to reach this stage of the Telkom Knockout they thumped AmaZulu 3-0 at Durban’s iconic Moses Mabhida Stadium. This is a very tricky clash and it can go either way so I’m backing a draw here.